* Sonesta Ocean Point Resort - Re-opening on November 15th, 2018! 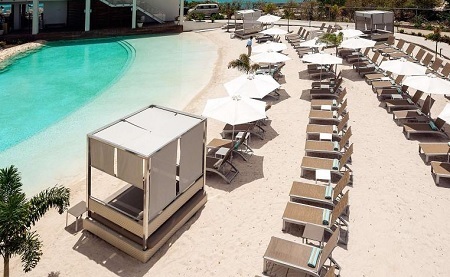 The stylish, Sonesta Ocean Point Resort embraces a chic Caribbean style within a luxury, all suites, adults-only, limitless all-inclusive vacation experience. 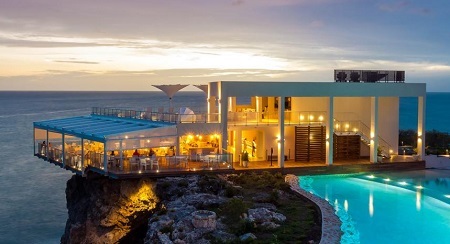 Set in the most spectacular location, the “resort within a resort” sits on the westernmost point of the island, adjacent to the legendary Sonesta Maho Beach Resort & Casino. The all-suite Sonesta Ocean Point features three pools including the Edge Pool with private zero entry cliff side beach, The Point Pool and a Swim Out pool; three bars including Sunset Lounge + Bar, Martin’s Bar and Azul Rooftop Bar (private functions only); and the Mediterranean-themed Azul restaurant including 24-hour room service, resort boutique, intimate gazebos, private cabanas, and a dedicated open air wellness area, the Serenity Point. Apart from the exclusive amenities at Sonesta Ocean Point, guest have full access to all services and facilities at Sonesta Maho Beach Resort & Casino with five additional restaurants and five bars, Serenity Spa, sauna, fitness center, tour desk, tennis courts, Casino Royale, Tantra nightclub and more than 24,000 square feet of renovated, eco-friendly meeting and conference facilities. 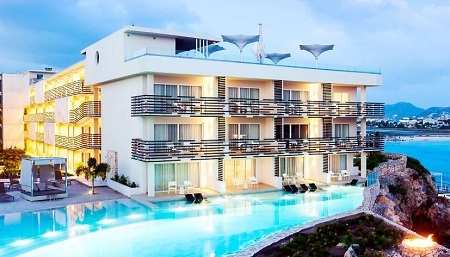 **Please note that the adjacent Sonesta MAHO Beach resort is “family friendly 4* property. At Serenity Point we believe that true relaxation comes from letting go and living in the moment. 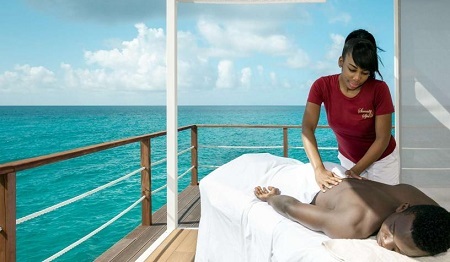 Enjoy a treatment surrounded by peace while taking in the breathtaking view of the ocean in our Serenity Point private gazebo. 129 spacious luxury suites feature a light, fresh and invitingly warm neutral color palette accented by décor reflective of the aquamarine sea. 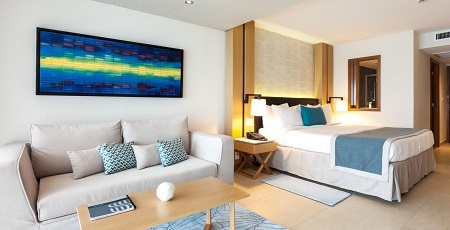 A team of international architects and designers meticulously designed each piece of furniture at Sonesta Ocean Point, giving way to a sleek, airy, and comfortable sensibility. Offer is based on a Double Occupancy in a Junior Suite King. A king bed plays center stage blending easily into the living area featuring a sumptuous sofa with coffee table and two comfortable chairs framing a round glass table, adding to the expanded usability and beauty of the suite. Tax and Service Charges are $79.oo per person per night additional.